It has been awhile since I indulged my fixation for maltreated public pay phones. Today I will usher in the weekend with a few new finds from Williamsburg. 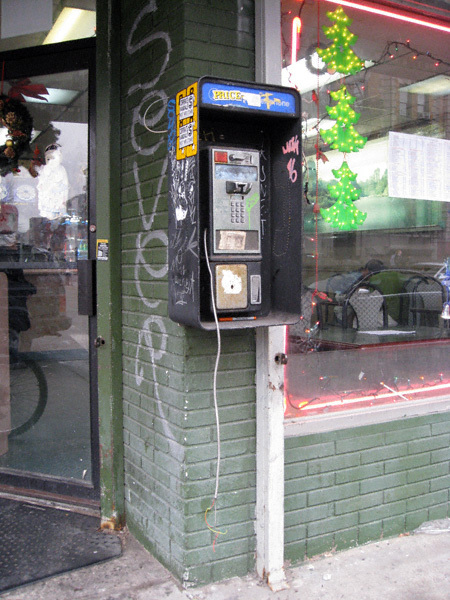 I am quickly learning that this is a pretty common example of pay phone abuse, e.g; the receiver is broken into two pieces. I like to call these “danglers”. The person responsible for this devious bit of pay phone chicanery has presented us with a poser. 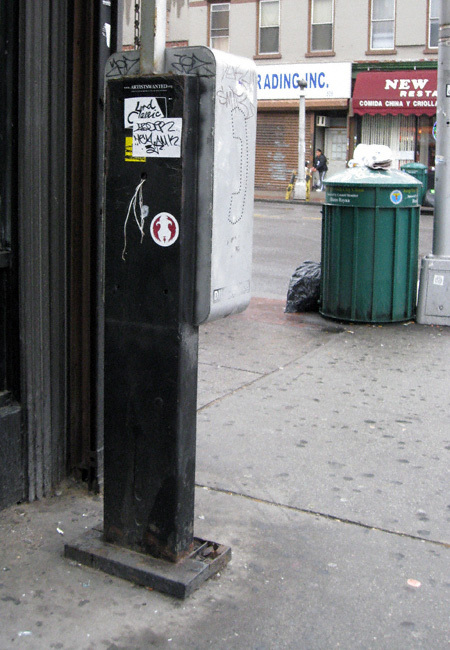 Those who are lucky enough to approach this pay phone from the north can quickly ascertain its lack of functionality. Everyone else is not so fortunate. Caveat emptor. 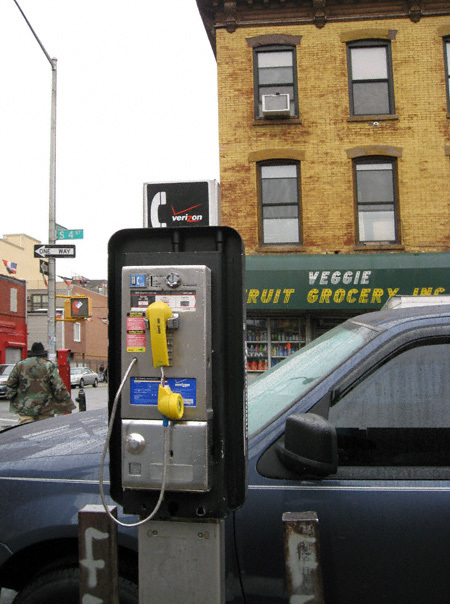 I am fascinated by the number of pay phones whose receivers are simply ripped off. Are these collectible? 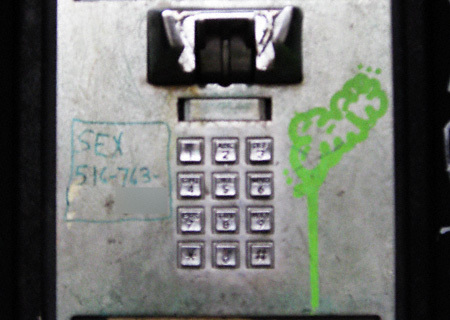 Is there an underground community of public pay phone receiver fetishists in New York City? If so, I hope they use plenty of disinfectant. Speaking of prophylaxis, be sure to pack a little protection before you give this person a ring. From your cell phone, of course.